Join our online course teaching you all the basics of working visually. Class size: Strictly limited to just 10 places : update - February course now full! Imagine sessions full of impact, running to time and delivering the outcome you need. People leave able to remember and recall your key messages more easily and for longer. You've made an impact and your sessions become a talking point. This is visual facilitation. If you're trainer, workshop leader or facilitator this course will take your delivery to the next level. Using visual tools in your sessions engages your audience, and makes your sessions more efficient and more effective. Good for your audience. Good for you. By the end of the course you will have learned a range of techniques and tools that you can incorporate into your practice. All for a commitment of just 5 hours a week, at times to suit you. If you're totally new to working visually and feel nervous about drawing, don't worry. You get free access to all the lessons from our Draw More Boot Camp and our Next Level Boot Camp to give you all the functional drawing skills you'll need to be happy with a marker pen in hand. Working visually sets your work apart and makes you more effective in your role. I've taught thousands of individuals how to draw more at work, including training folk at companies like Google, Accenture and the NHS. This course is full of practical skills, tools and templates. This online course is the equivalent of 5 days face-to-face training, giving you £5,000 of training for 10% of this cost...with all the benefits of flexible learning. That's amazing value! Leave the course with your visual muscle memory switched on, with new dynamic facilitation tools to use straight away. February’s course now full - register your interest below for September 2019! Once you've joined you will get a password to access the Graphic Change® Academy member space. I share my experience from over 12 years of graphic facilitating for clients and give you a series of exercises designed to stretch your thinking and improve your practice. Work in your own time, 5 hours a week is recommended. You'll also get access to the private community space for your class. This is where you share your work for me and your class to see, and where you'll get individual feedback, advice and support to help you get the most out of the lessons. Places are strictly limited so that I can give you individual feedback. Once you have completed the course you will get a certificate. Then go out into the world and Be a Graphic Facilitator! 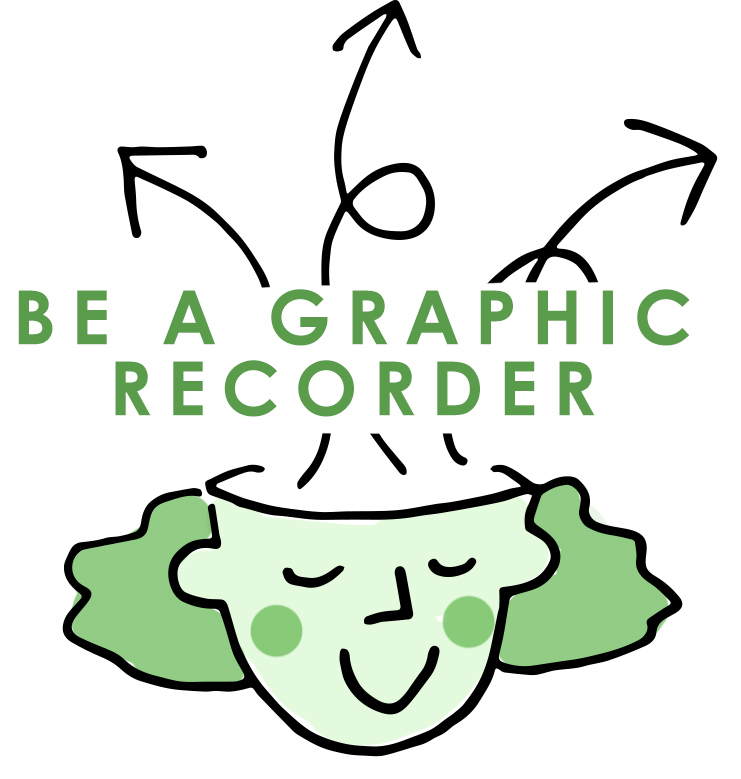 WHY BE A GRAPHIC FACILITATOR? As we understand more about how people think and learn we are realizing that most people can absorb more, understand greater complexity and remember more for longer if the information uses visuals. If you're a trainer, facilitator or group leader, then this is facilitation gold dust. Your audience benefits. You benefit. Did you know that you are 17% more believable when you're working visually (I know, right?!) and your audience will remember 60% more of your content, and remember it for longer? If you want to make an impact and leave a lasting impression then working visually can really help you deliver. On the course you will learn new skills and I will show you how to use them when you are leading, facilitating or training others, helping to make your sessions more efficient and effective, and your audience more engaged and focussed on your content. By the end of this course you will have all the basics you need to step back into your role with the knowledge and new skills you need to start working visually. A series of practical lessons take you step-by-step through carefully thought out exercises. All lessons are tried and tested with students over years of face-to-face training courses. The lessons include easy-to-follow step-by-step tutorials as well as information about when and where the tools work best. You get to try your hand at the practical exercises and share your progress, all within the safety of the online classroom. I'll be there every step of the way giving feedback and advice, live in the group.